We are three guys who love fly-fishing and the outdoors! We have known each other for nearly 20 years and worked for different companies that competed against each other. Interestingly enough, the sport of fly-fishing brought us together allowing us to become great friends. While we still fish together, two of us are now retired. A benefit to our team is that two members are professional chemists with inquisitive minds. Between them they have over 100 U.S. patents. Over time we noticed that the performance of floatants available was not very high and most were solvent based, flammable and environmentally unfriendly. After another long day of fishing we were enjoying dinner and discussing the day’s events, the fish caught and the ones missed. The topic moved to floatants and how we could make better products than what was available. Thus, High N Dry Fishing Products, LLC was born. Our first step was to scientifically evaluate all available products. By reverse-engineering, it allowed us to understand the design approach, materials used and performance of each product. Armed with this information, our team was able to develop the most advanced, highest performing, solvent free products available. Although this was a lot of hard work, we remain great friends and sincerely hope you enjoy fishing the High N Dry way! 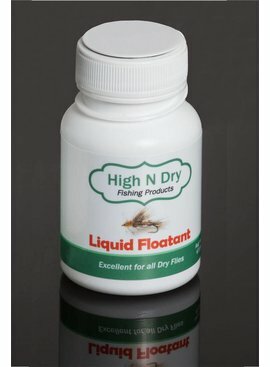 This amazing floatant delivers a very fine and even coating of water repelling particles to the dry fly. 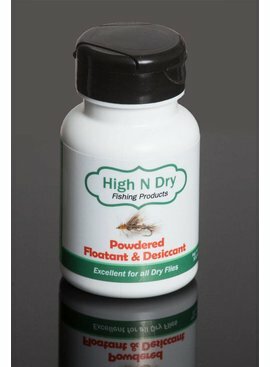 Our powdered floatant and desiccant was designed with special and unique materials, and compliments our Gel and Liquid floatants. 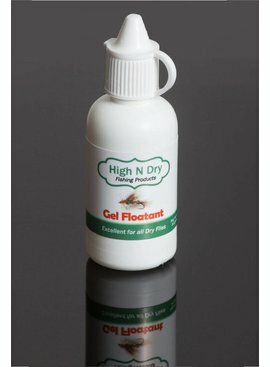 Our Gel floatant was designed with special and unique materials, and is specifically for those fly-fishers that prefer to dress their flies with their fingers. 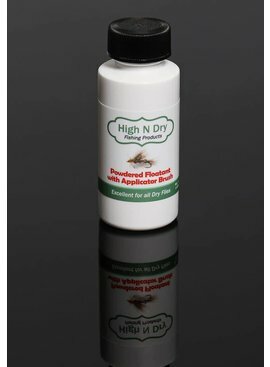 Our liquid floatant was designed with special and unique materials, and is the perfect floatant for those fly-fishers that prefer to dip their fly into a container.